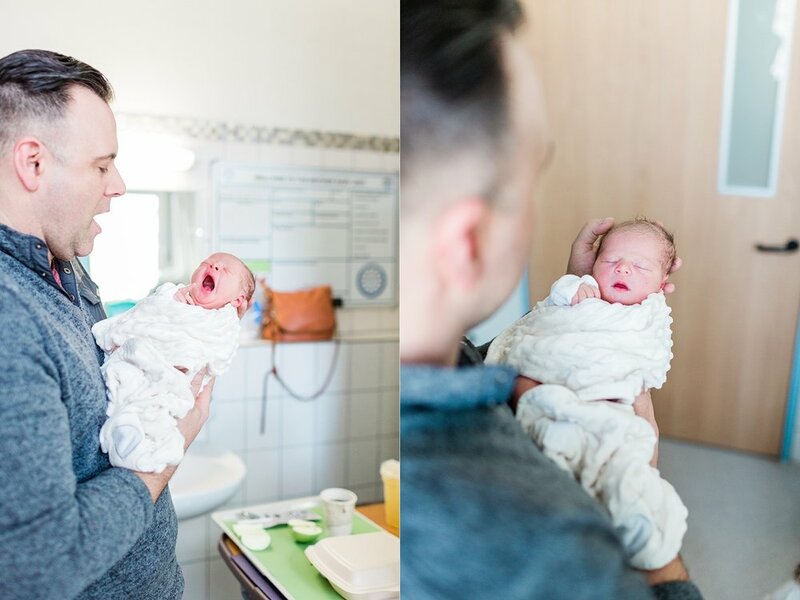 Sometimes your birth doesn't go as planned, no matter how much you try to prepare for it. 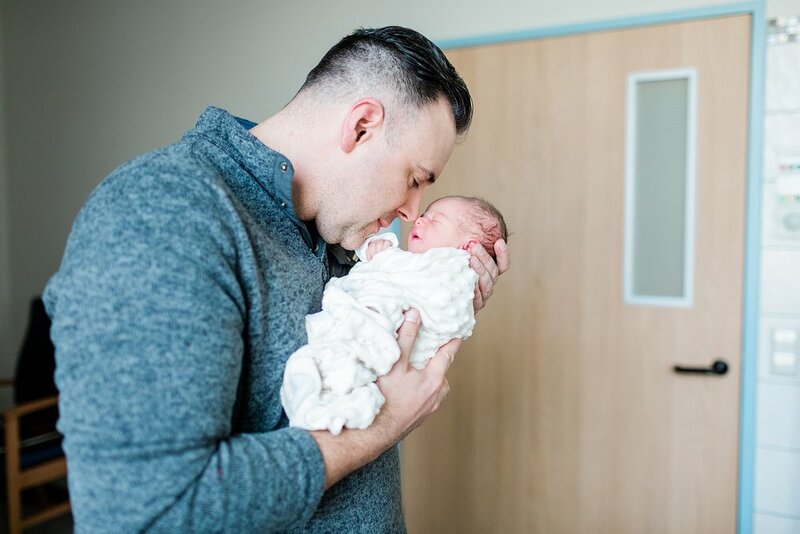 When mom went into labor we decided it would be best if we got to the hospital at the same time (second and third deliveries tend to be faster) only to get discharged shortly after. Less than an hour after leaving the hospital I received a second, more frantic phone call from dad, telling me that they were back at the hospital and to hurry back. In the fifteen minutes that it took me to rush back to the hospital, little Abigail made her appearance. 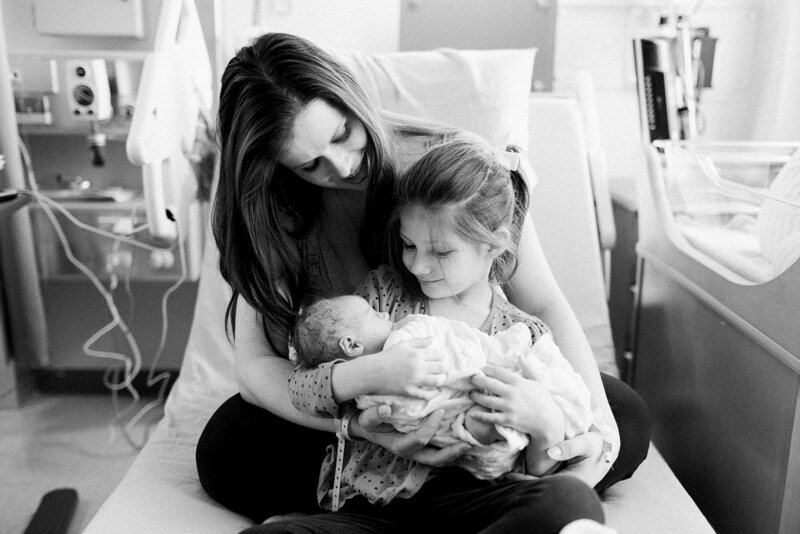 She just could NOT wait to meet everyone... so much that mom almost gave birth in the car! I stayed for a few hours after that, capturing those first special moments between mom, dad, and babe. We decided that I would come back for a Fresh48 instead, after everyone had a chance to get some rest. We had all been awake for over 24 hours! Even though things didn't go as originally planned- it worked out beautifully! 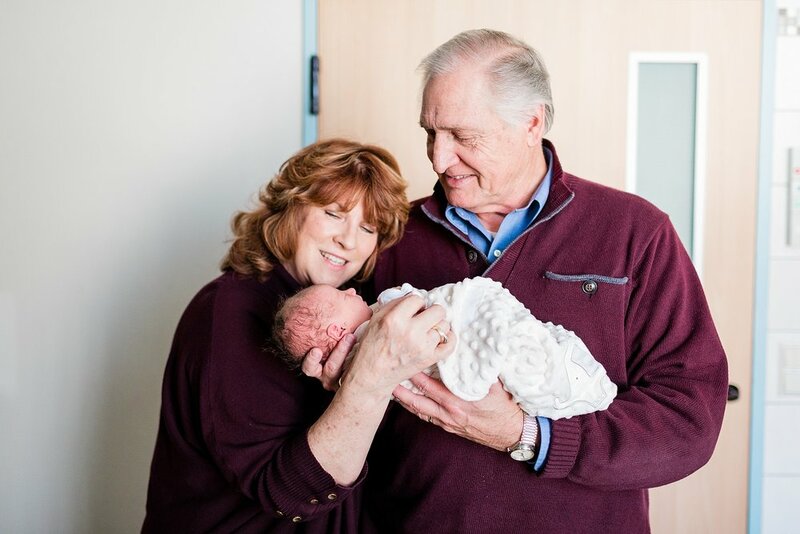 Their Fresh48 session was adorable, I got to photograph siblings meeting the baby for the first time, grandparents meeting their newest grandchild, and the love between all of them. Here's a little preview from their Fresh48 session!